Yareal Polska, a leading property developer operating in Poland, is part of Yareal International N.V. and Yam Invest group, which operates throughout the European real estate market. Projects developed by Yareal in the Polish residential real estate and office market stand out with highest quality and flexible solutions. Long-term strategy, based on commitment and tailored to best serve our clients` expectations and needs, is the guarantee of safety and increasing investment value. Dedication to client satisfaction, commitment to highest quality and attractiveness of the projects and reliability are the guiding values of our company. The knowledge and experience of our teams in design and construction, gained in Poland and abroad, ensure the quality and satisfaction from the increasing value of our investments. All residential and office buildings developed by us stand out with optimal selection of locations and surroundings. The buildings are also highly flexible, functional and in line with the latest quality standards. Our projects offer a new experience in living and working owing to efficient space planning. Yareal Polska builds highest quality residential buildings in all market segments, ranging from luxury apartment buildings, human scale upper standard buildings to popular segment of residential estates, as well as prestigious offices schemes. Rezydencja Konstancińska - Domiporta award - "Apartment of the year" 2014/2015". Nowogrodzka Square office building - PLGBC award in "Green Building Awards 2018" category. Yareal Polska has been an accredited member of the Polish Developers' Association since November 2005. 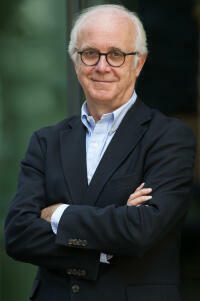 Managing Director Yareal International N.V.
Eric Dapoigny joined Yam Invest in 2005. He is in charge of the Group’s real estate development activities and serves as Managing Director of Yareal International and Executive President of Yareal Polska. Christophe Calmel joined Yareal Polska in 2008 as Technical Director and member of the Management Board. 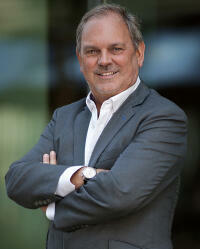 He is Vice President of Yareal and President of Cristal Property Management. In Yareal Christophe Calmel is in charge of the Development Department responsible for acquisition of new real estate to develop new projects. He is also in charge of Technical and Tender Department. Before joining Yareal, Christophe worked for Bouygues Batiment International where he served as head of Production Management department in several countries. He has been active in the construction industry since 1976 and involved in a number of projects located in Europe and Africa, such as industrial and public utility facilities, office and residential buildings as well as shopping malls. 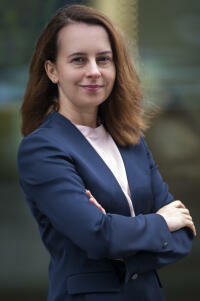 Agnieszka Pyra joined Yareal Polska in 2012 as Chief Financial Officer. Since 2014 she has also served as a Board Member in charge of finance and administration, controlling, accounting, IT and HR. Previously (2004-2014) Agnieszka was involved with Apsys Polska (developer and property manager of shopping centers) where, as the company’s CFO and Vice President, she managed a team of 32 employees from accounting, administration, IT, HR and rental management departments. The major areas of Agnieszka’s responsibility in Yareal Polska include management of the accounting and controlling department, close collaboration with banks and searching for financing of office and residential projects, tax optimization, preparation and supervision of budgets, preparation of annual financial statements, as well as development of internal procedures and management of IT processes. Agnieszka is a graduate from the Warsaw School of Economics in the Faculty of Finance and Banking and International Political and Economic Relations. She has also a Diploma of Polish Chartered Accountant. Jacek Zengteler joined Yareal Polska in early 2016 as Head of Residential, and a year later he was appointed Board Member. Jacek is in charge of Yareal’s operations in the residential sector with the main areas of activity being preparation of the launch of new projects, oversight of project management and client relations both before and after handovers. Jacek has been involved in the property development industry since 2002. He was developing his career with Dom Development S.A. where he worked, among others, as Deputy Director of Business Development, Director of Land Department responsible for land acquisition, and Director of Customer Service Department. He also served as the company’s Proxy. Jacek Zengteler graduated in the field of economics and was awarded MBA diploma at the Warsaw School of Economics and Carlson School of Management, University of Minnesota. In June 2014 prof. Witold Orłowski, prof. Andrzej Blikle, Bogusław Kott and Maciej Witucki have been appointed to the Supervisory Board of Yareal Polska. This decision highlights the strong and long-term commitment of Yareal International to the Polish real estate market. Prof. Witold Orłowski, who has been appointed Chairman of the Supervisory Board, is one of the most prominent Polish economists specializing in applied econometrics and macroeconomics. In his professional career he served as chief of the team of economic advisors to the President of Poland and advisor to the chief negotiator in membership talks with the EU. For nearly 10 years he has acted as Chief Economic Adviser for PwC Polska being involved inter alia in development of services based on economy analysis for clients from both private and public sectors. Prof. Andrzej Blikle is an authority in the field of business advisory, mathematics and IT technology – an academic lecturer in the above fields and an employee of Institute of Computer Science of the Polish Academy of Sciences. In 2005 he was honored with the Knight’s Cross of the Order of Polonia Restituta. No less significant is professor Blikle’s extensive business experience, including his 20- year career in running a family business of A. Blikle Sp. z o.o. with a tradition dating back to the mid-19th century. Bogusław Kott is an economist, banker, founder and for almost 25 years Chairman of the Management Board of Bank Millennium, the first commercial bank in free Poland (Bank Inicjatyw Gospodarczych at the time). 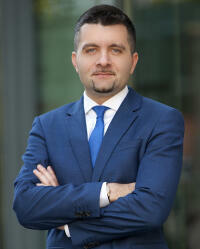 Co-creator of Polish capital market institutions and innovative solutions in banking. Many times considered by media and business organisations to be the best Polish banker. Maciej Witucki began his professional career in consumer finance (Cetelem, the Paribas Group) and retail banking (Lukas Bank, the Credit Agricole Group). In 2006 he joined Telekomunikacja Polska S.A. as CEO, which changed its name to Orange Polska in 2013. Since 2016 CEO at Work Service Capital Group. Chairman of the Supervisory Board at Orange Polska and Member of the Supervisory Board at AXA Polska. Maciej Witucki is also a member of the Management Board at Lewiatan (Polish confederation of employers) and member of the Board of Directors at the Atlantic Council of the United States (leading American think-tank). CRISTAL PROPERTY MANAGEMENT SP. Z O.O. YAWA SP. Z O.O.12 Sp. K.
YAWA SP. Z O.O.13 Sp. K.
YAWA 15 SP. Z O.O. YAWA SP. Z O.O.16 Sp. K.
YAWA SP. Z O.O.17 Sp. K.
YAWA 18 SP. Z O.O. YAWA 20 SP. Z O.O. YAWA 21 SP. Z O.O. YAWA SP. Z O.O.22 Sp. K.
YAWA SP. Z O.O.23 Sp. K.
YAWA SP. Z O.O.24 Sp. K.
YAWA SP. Z O.O.25 Sp. K.
YAWA SP. Z O.O.26 Sp. K.
YAWA SP. Z O.O.27 Sp. K.
YAWA SP. Z O.O.28 Sp. K.
YAWA SP. Z O.O.29 Sp. K.
YAWA SP. Z O.O.30 Sp. K.
YAWA 31 SP. Z O.O.